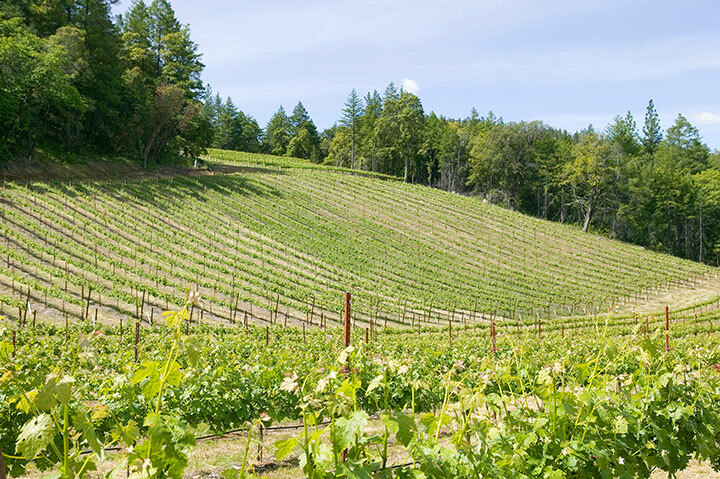 Our winery and vineyards are located in beautiful, unspoiled Lake County, due north of Napa Valley. We invite you to visit us for a uniquely memorable tour and tasting of our award-winning wines. Langtry Estate spans over 35 square miles of paradise and is located just 10 minutes east of Middletown and 15 minutes north of Pope Valley in Napa. Open Friday through Sunday 11:00am - 5:00pm Monday through Thursday by appointment only. Taste your way through a flight of six of our current release wines — no appointment required although reservations are accepted to guarantee a particular time. 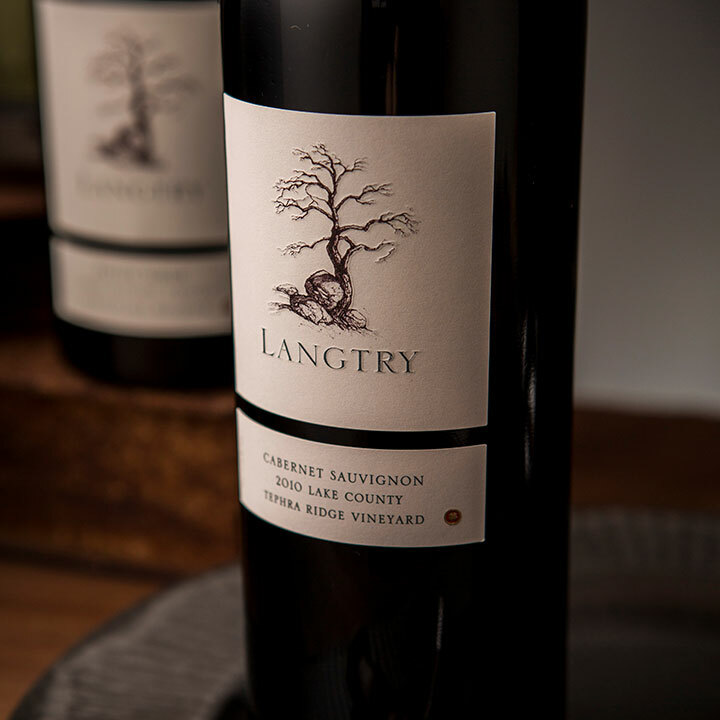 Taste through a selection of current vintage Langtry Estate Single Vineyard wines as well as a few bottles we have pulled from our library, all while learning about Langtry Estate’s rich history. Tastings are also available Monday through Thursday by appointment only. Please call our hospitality team to make reservations at 707- 995-7521. Want to Make Your Experience Extra Special? Add a Cheese Plate and Tour to your tasting. 24 hour notice required please. Our guide will lead you and your guests on an adventure to our Sauvignon Blanc Vineyards where you will enjoy vineyard views while learning about Lake County’s flagship varietal as well as our two styles of Sauvignon Blanc. Continue your experience as we guide you through our beautiful estate vineyards where you will gain intimate knowledge of the history and processes we use to craft our wines. 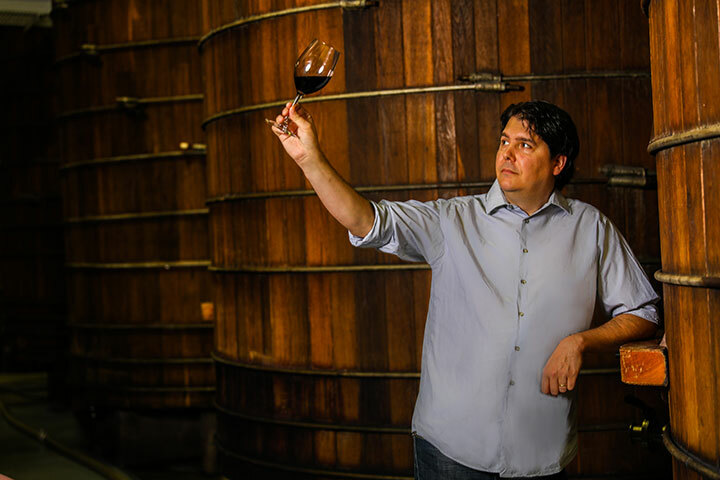 Enjoy barrel and tank samples of wines in production as availability permits. You will return to the tasting room to enjoy more beautiful views while sampling five of our vineyard select varietals all perfectly paired with a small bite. Enjoy a gourmet salad and sandwich paired with a glass of wine while enjoying the views. We'll work with you to create a delicious lunch that considers your dietary restrictions and pairs perfectly with our wines. Example lunch consists of a beautiful field green salad with balsamic dressing topped with thinly sliced tri tip, and an artisanal baguette sandwich with cured meats and brie, and a bag of kettle chips for each person; lunches are served "family style". 48 hour notice is required. Please call our hospitality team to make reservations at 707-995-7521. Enjoy a beautiful view while picnicing. You and your guests will taste your way through our current release wines and enjoy a guided tour of our winery and cellar. You will learn about our vineyards and winemaking process. Then you will complete the experience with a glass of wine and a perfectly paired picnic lunch beneath the wisteria overlooking Deter Reservoir (weather permitting). Whether you are looking to celebrate a special occasion or bring your company team closer together, we offer an experience for you... Offered for groups of 10 or more with 48 hour notice. Taste through a selection of current vintage Langtry Estate Single Vineyard wines as well as a few special bottles we have pulled from our library and, if available, enjoy a sample from the tank or the barrel, all while learning about Langtry Estate's rich history. Taste your way through our current release wines and enjoy a guided tour of our winery and cellar, where you will learn about our vineyards and winemaking process. 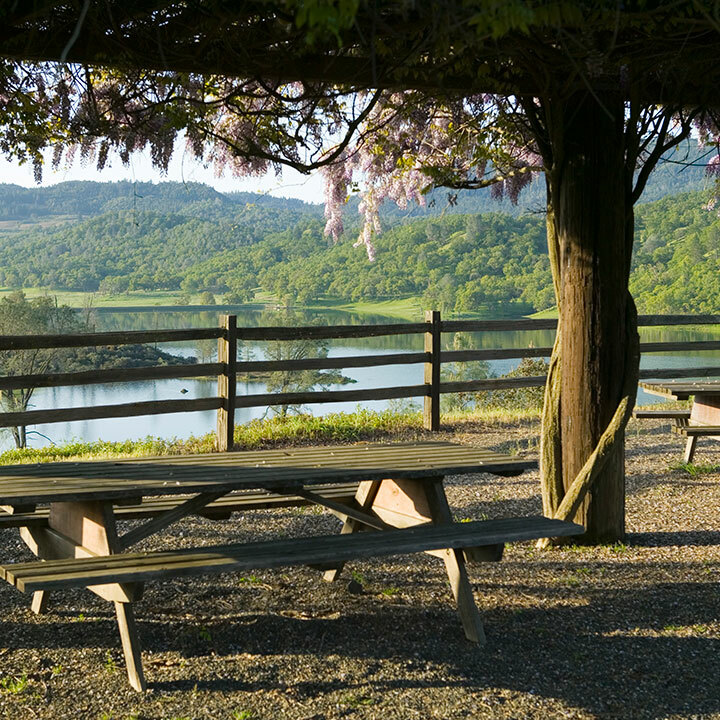 Complete the experience with a gourmet salad and sandwich paired with a glass of wine beneath the wisteria overlooking Detert Reservoir (weather permitting). Example lunch consists of a beautiful field green salad with balsamic dressing topped with thinly sliced tri tip, an artisanal baguette sandwich with cured meats and brie, as well as a bag of kettle chips for each person; lunches are served “family style”. For lunches, dinners and custom events, please contact our Events Specialist at 707-995-7517.